In between the complex interaction of mainstream videogames and the pure passivity of animated film, there’s a lot of space to occupy. Developers have been toying with these possibilities since the earliest days of computer gaming — William Crowther created the first digital text adventure back in 1976 — but recent years have seen an explosion of games exploring this ‘post-mechanical’ world of design. Upon its release in 2012, Dear Esther was considered somewhat shocking, “an experiment with the videogame form,” as one review called it; now, only four years later, the “Walking Simulator” tag on Steam yields 157 results. Given this rich field of experiments, then, it might be useful to look past their mere experimentation, and glean whatever insights we might from their results. Personally, I am torn over Dear Esther. While it should be praised as a pioneer, I would be loathe to hold it up as a model for the genre. In fact, it might best be thought of as a case study of what not to do in a post-mechanical game — a sort of martyr of post-mechanical game design. 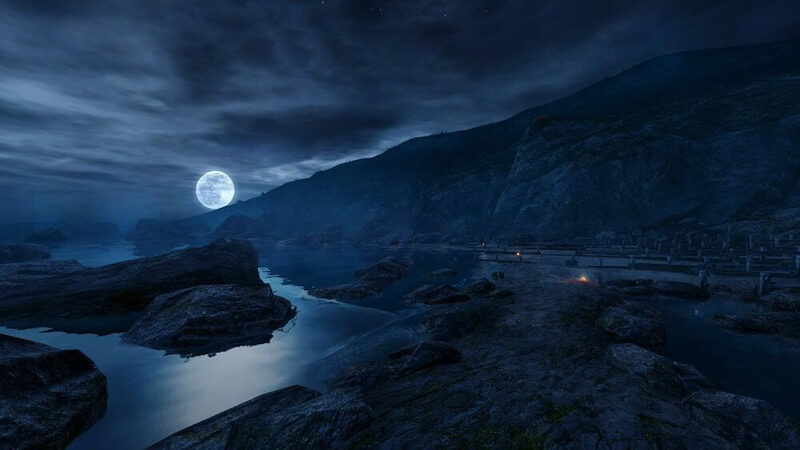 To give a quick run-down, Dear Esther is a first-person walking game in which players proceed around an island, occasionally listening to audio excerpts from the protagonist’s letters to the titular Esther. While the island’s design often gives the illusion of openness, exploration into areas off the beaten path are rarely, if ever, rewarded by illuminating environmental storytelling. And although the player must proceed along a linear path to progress, unnecessary dead ends and arbitrary bottlenecks end up making this frustratingly difficult. To compound both of these problems, players are only allowed to move at a single, slow pace. 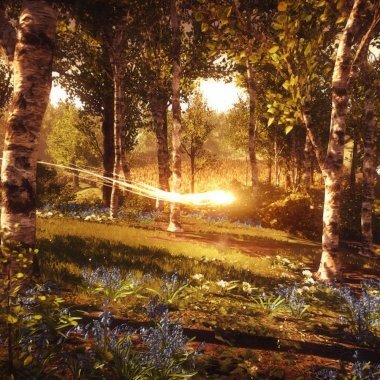 This can serve to create a negatively reinforcing interaction loop — the player explores an off-track area to discover nothing of interest, loses the way forward, and slowly trudges around trying to find the arbitrary point where the narrative continues. In my opinion, these three issues form a trifecta of potential pitfalls for post-mechanical games: (1) poor pacing, (2) shoddy wayfinding, and (3) sparse environmental storytelling. In order to appreciate this, I’d like to look at games that worked better for me. First, let’s look at pacing. Dear Esther does not allow the player to speed up movement, presumably because this would not fit the contemplative tone of the work. Fine. But it fails to compensate for this by filling the space it takes for the player to travel from point A to B. Long stretches of walking are void of narrative or environmental storytelling. In a game whose only form of player engagement is movement through a story, I found this to be an effective way to lose my interest. Contrast this with what I feel is an impeccably paced game, Virginia. 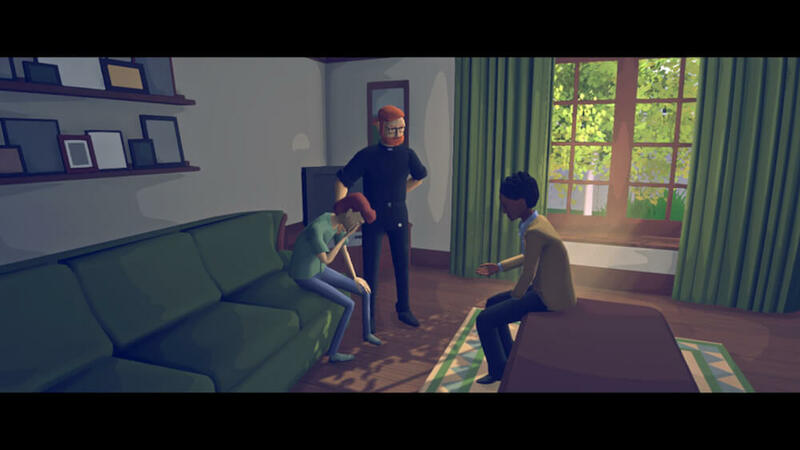 Virginia brilliantly uses film-like editing to keep the story moving. This allows scenes to progress faster without sacrificing the illusion of time and distance. An early segment of the game has players walking through a hallway, down a stairwell, and along a basement corridor to reach an office. However, each of these areas are connected by smash cuts, giving the player a sense of the journey without subjecting them to its monotony. I believe this attention to pacing is what makes Virginia work from a design standpoint; the story is told so efficiently that I remained engaged despite having nothing complex to do. I found myself somewhere, moved towards the point of interest, interacted with it, and moved on to the next beat — rinse and repeat. This pacing allowed even slower moments to shine, like when your character drinks a beer with her ‘partner’ on a tower overlooking the city. You take a sip, gaze onto the horizon, look at your pal, and that’s it. A nice, quiet moment, shown and then done. The developers don’t waste your time. They continuously engage the player, and my natural response was to continuously feel engaged. Our character awakens on a couch in an unknown home. We walk down the stairs past a number of rooms with openable doors. Once we’ve looked in and realized these aren’t our points of interest, we continue downstairs, where we find an openable bathroom door — again with nothing to do inside. We exit and proceed to the kitchen, where we find our partner making breakfast, but we still can’t interact. No, we have to walk to the other side of the breakfast bar to sit down and proceed. Moments like this are minor in Virginia, especially compared to Dear Esther, where dead ends and bottleneck areas litter the experience. But any number of these moments serve to break the immersion, disrupting our fluid engagement with the game. The trick here is to find a way to guide the player seamlessly to the point of interest, whilst still providing them with the feeling of freedom. 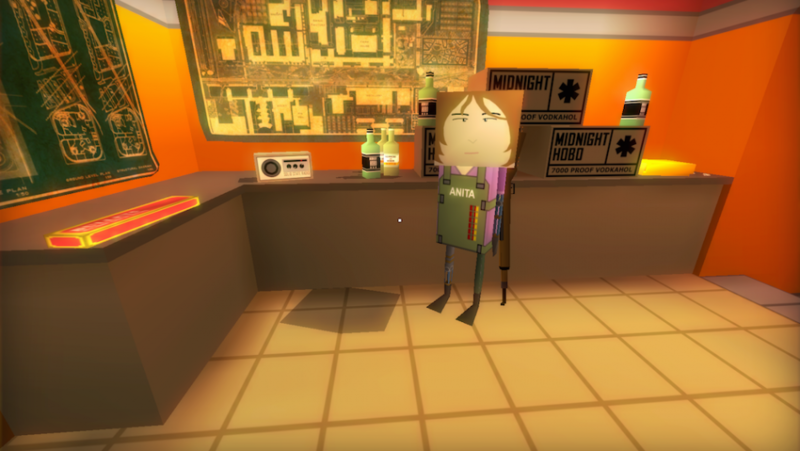 It’s a sleight of hand at which developer Brendon Chung is particularly skilled, and his Thirty Flights of Loving is a great example. Though the solution might seem obvious, attention to minute acts of guidance like this are what make Thirty Flights such a friction-less experience. Chung gives great thought to how the player will negotiate his spaces — his commentaries on the game show him agonizing over the lighting that can guide a player to a ‘blind hallway,’ and how to angle a room’s entrance to show a button they have to press — and this allows us to navigate his games intuitively. The last pitfall, though, might be the most crucial. The videogame medium has one very simple difference from, say, a film or a book, even in its post-mechanical form. This is the ability to explore. Games allow us to choose where to look and move; in a word, games allow us to observe. And this observation can serve as an amazing mechanic, something utterly profound and unique. Dear Esther isn’t sure if it wants to do this. In brief instances, it opens up, allowing the player some room to explore. But its environment is not rich with meaningful material, and so these moments invariably become its weakest. Its final flaw is that its environment is little more than a setting for players to trigger the next audio excerpt. A few set pieces — a wrecked ship, an inlet of paper boats (as well as a handful of brief ghost sightings) — and occasional bits of writing, like the chemical formula for alcohol, do very little to enhance the experience in my eyes. At best, they foreshadow themes vaguely; at worst, they reiterate them to the point of redundancy. I believe that the gold standard for this type of gameplay is Gone Home. In Gone Home, players explore an empty home — examining objects, reading letters, and listening to audio diaries. A quick audio message provides us with the set up — a girl comes back to her parents’ house after a trip to Europe. From there, we enter the house, find it empty, and we’re off to the races. Through discovering information embedded in the environment, we experience the story. Something here is quite brilliant from a design standpoint. With this formula, Gone Home solves all three of the pitfalls we’ve discussed. Players can (1) proceed at the pace they find appropriate, (2) move about the house in whatever path they wish (though subtle, clever geometry pushed me, and many I know, into exploring in the “proper” order), and (3) feel confident that increased exploration will be rewarded with increased understanding. Each letter, each item, gives us further clues with which to piece together the story. And aside from finding the key which allows you to trigger the ending, what we gather is largely up to us — there is no phoney puzzle to solve, but real meanings to derive. 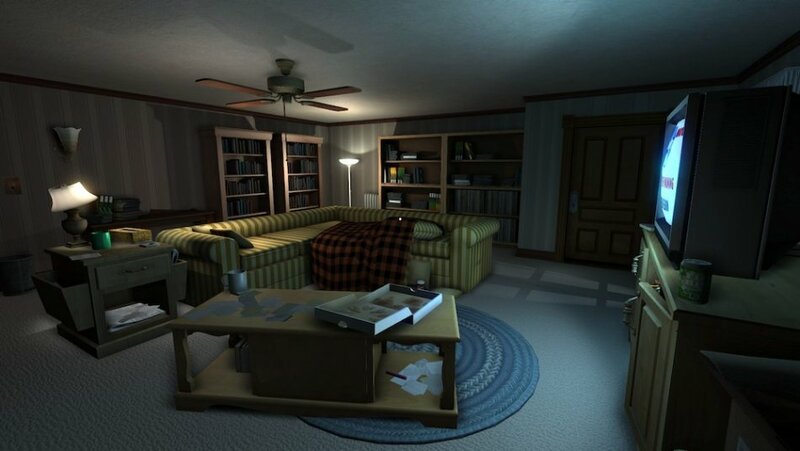 Gone Home is a beckoning game — a game which always stands ahead of us, asking for us to probe it, to discover what it has for us. It forces the player to seek out the game. In doing so, it points the way towards a new world of game design — one built on a syntax of chosen pace, wordless guidance, and a deep respect for the player’s gaze.